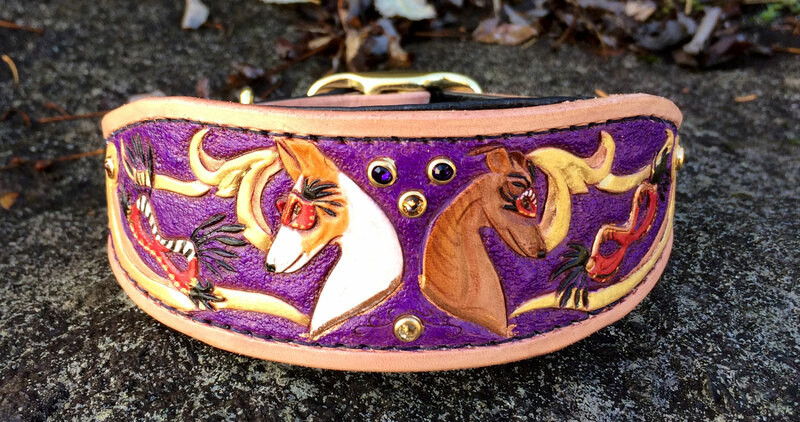 This dog collar features the customer's logo with some decorative swirls and swarovski crystals. 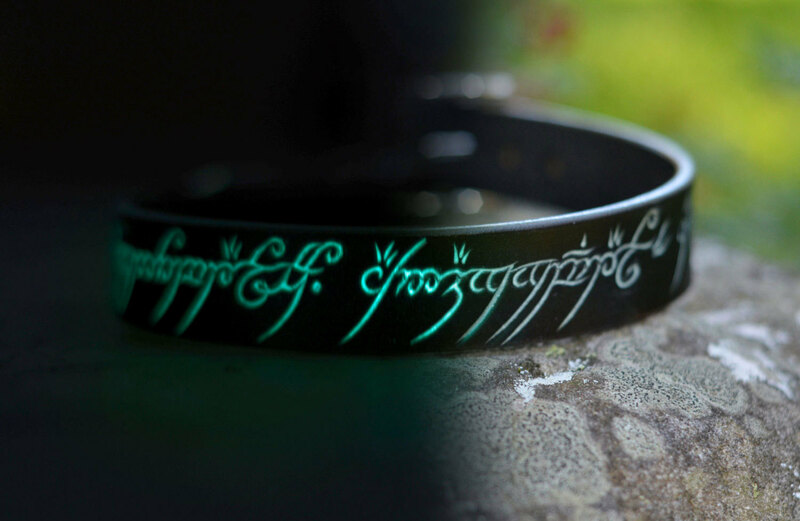 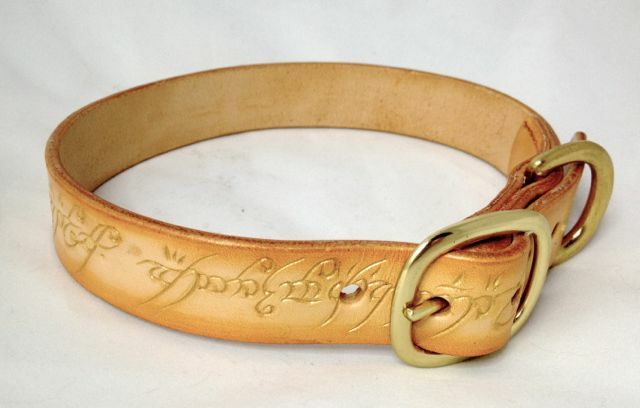 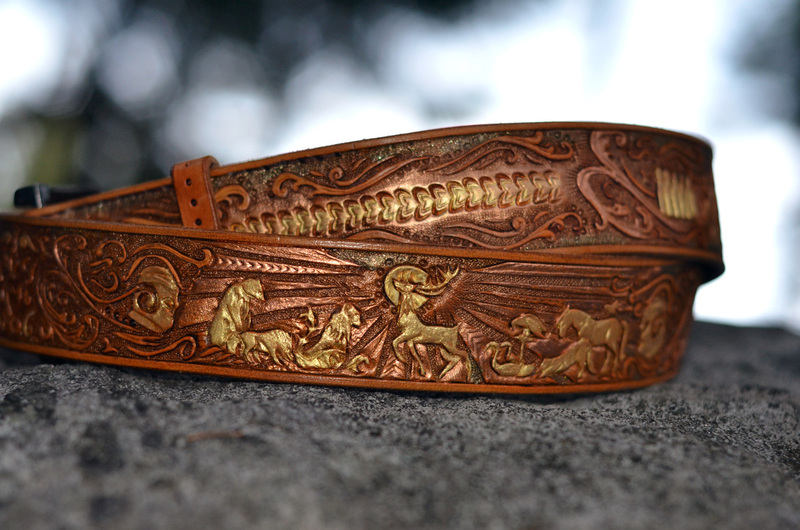 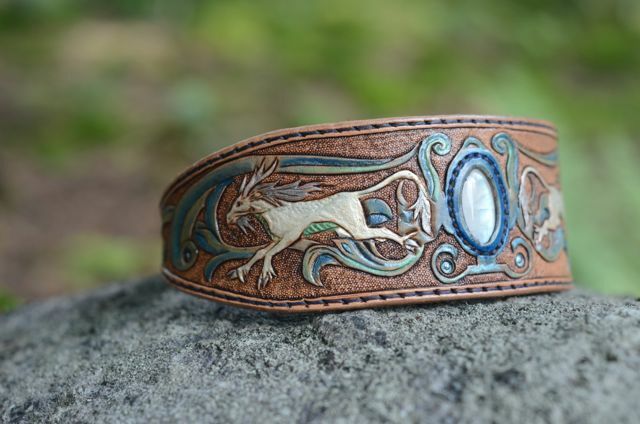 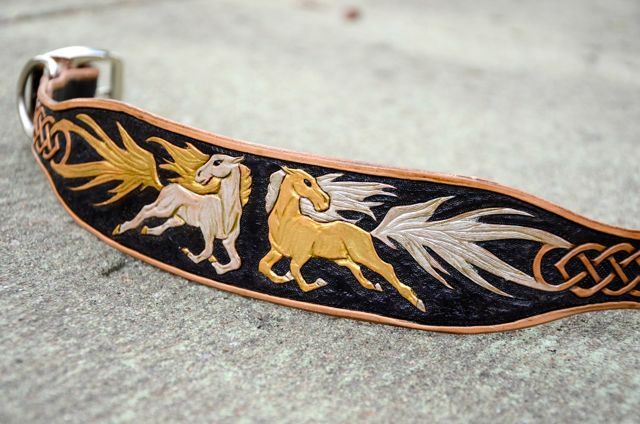 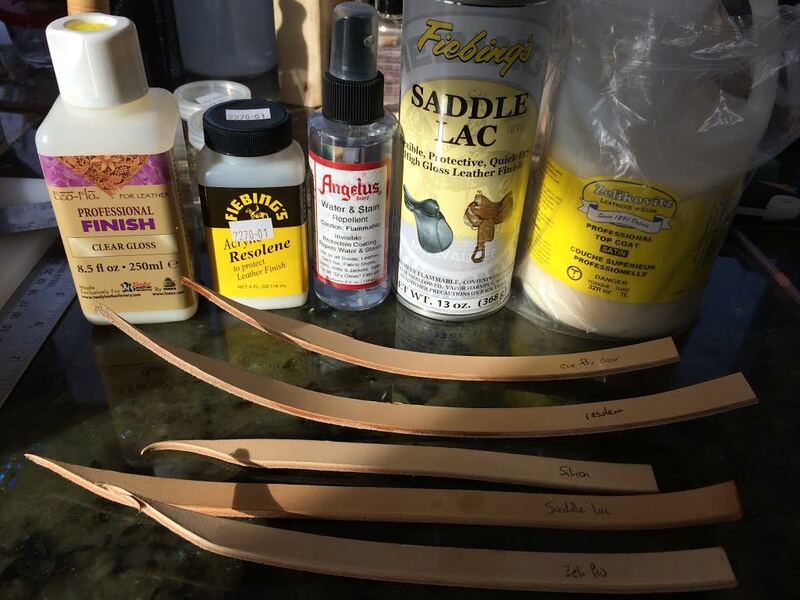 Horses and celtic elements were carved into this custom leather dog collar. 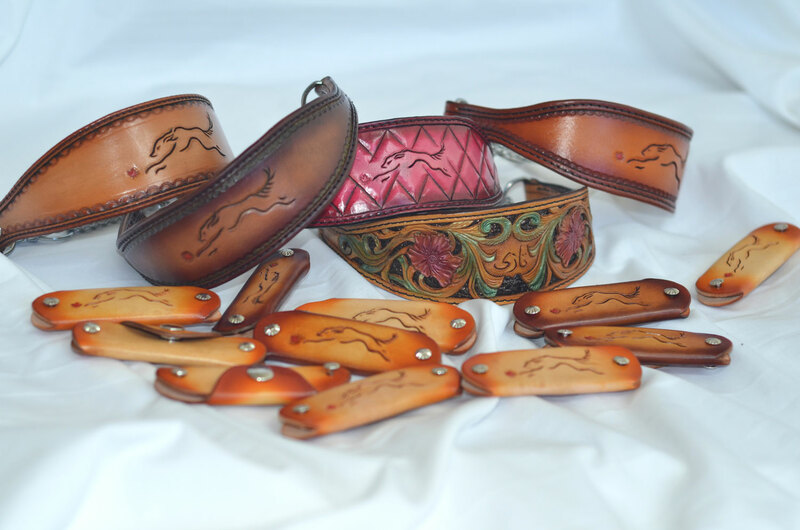 View the product page (coming soon). 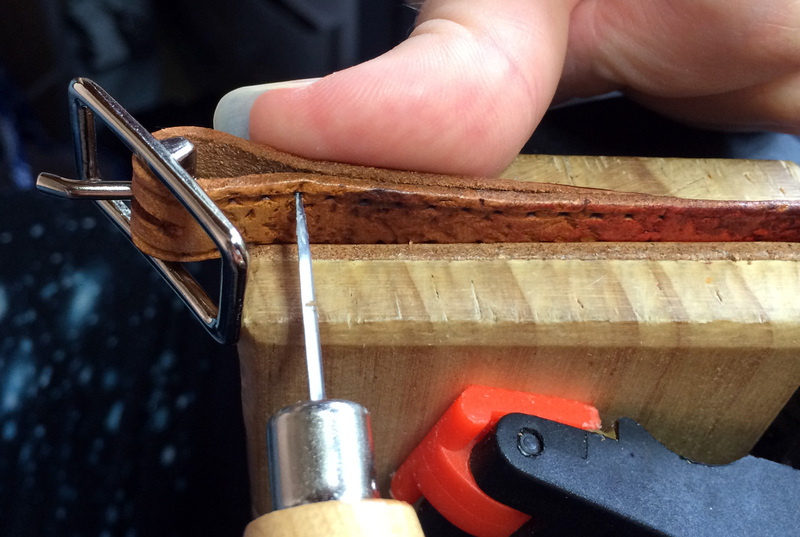 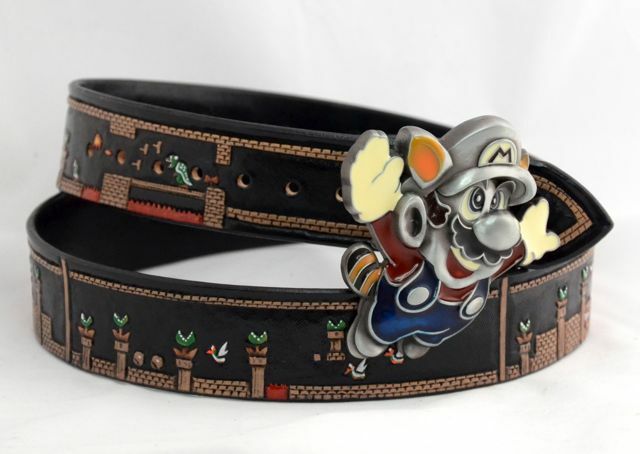 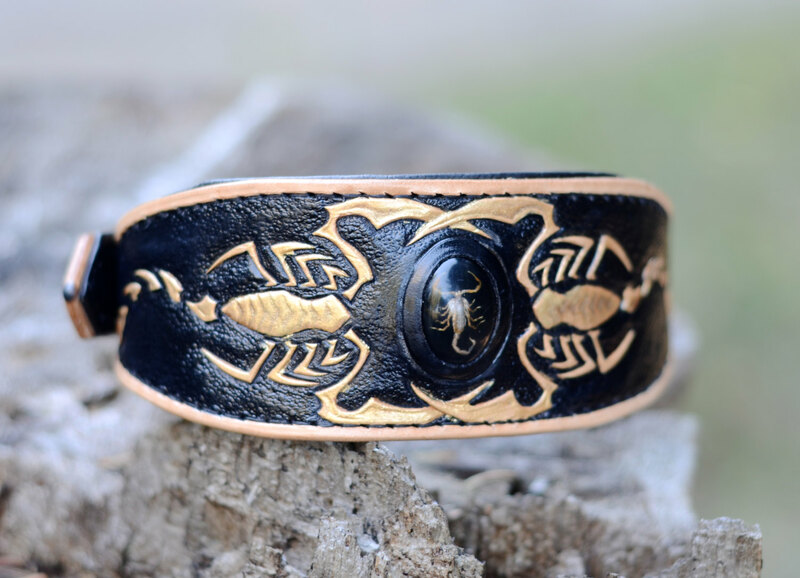 This leather dog collar features a real scorpion inside the cabochon in the center. View the blog post. 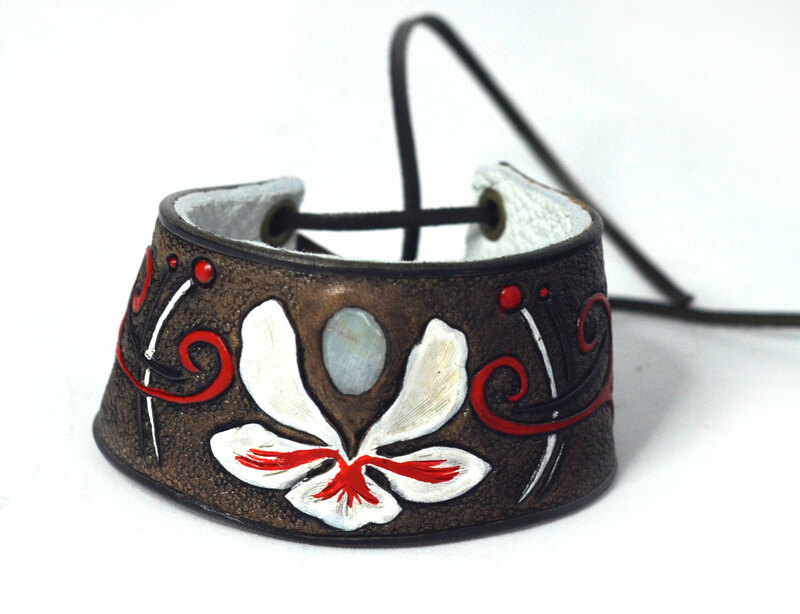 View the product page (coming soon).